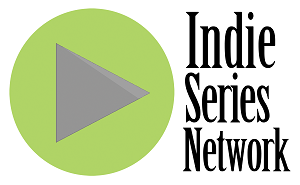 The results are in from "Indie Series of the Week" poll for web series that aired one or more new episodes from July 6-12, 2014. People you Know was voted favorite web series for the second week in a row. A new episode of Pride was second, followed by the latest from Pairings, Misdirected and Youthful Daze. Baltimore Russell (Monty St. James) from People you Know was voted Favorite Actor for the second week in a row. Jaime Elise Summers (Mia St. James) from People you Know was voted Favorite Actress of the week. The Favorite Couple/Duo for the week was Monty & Lucas from People you Know. - Bushido Man Episode 7 "Bullet Arm"
- Cornerstone Episode 2 "New Beginnings"
- Lungs Episode 18 "Forgive Me"
- Misdirected Season 2 Episode 7 "Woo"
- Pairings Season 2 Episode 3 "Fudge It"
- Re-Casting Kyle Episode 5 "Not Jewish, Definitely Black"
- Somewhere in Palm Springs Episode 4 "The Spooky One"
- Youthful Daze Season 2 Episode 15 "Pretty Little Liars"